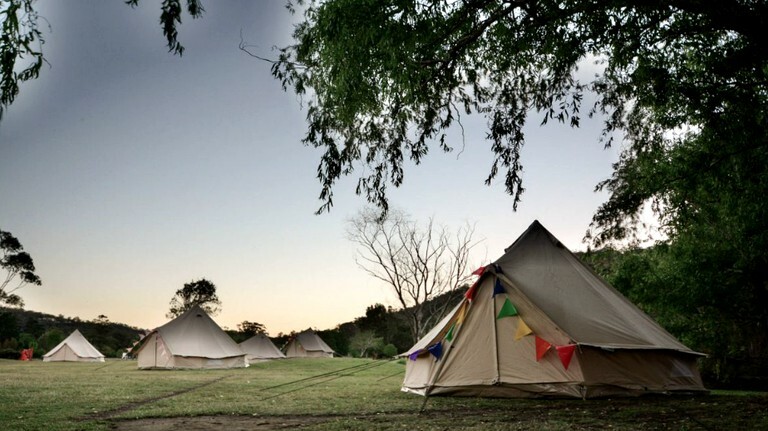 These beautiful canvas bell tents provide the ultimate upsacale and luxury tent camping experience in NSW. 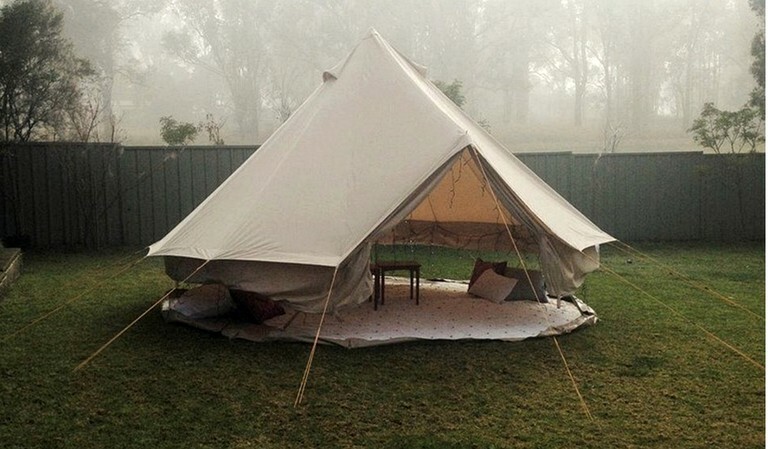 They come in a four and half by six meter diameter—ideal for weekend camping trips, birthday parties, corporate hire, festivals, and weddings. 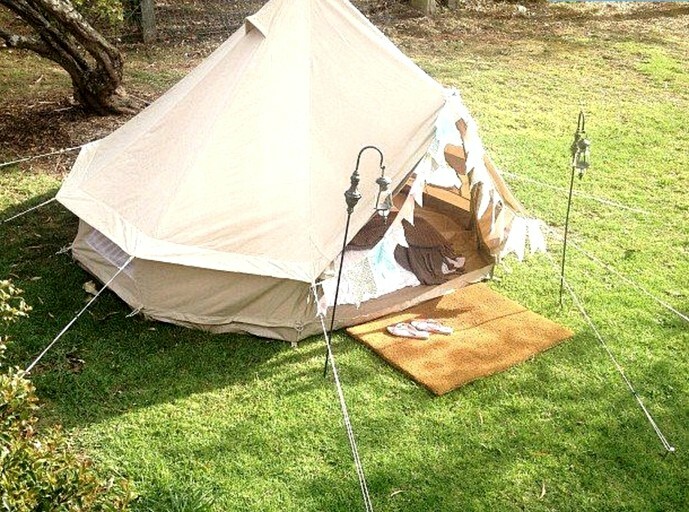 We come to your selected location, set up your selected bell tent and can furnish the tent with all the comforts of home. 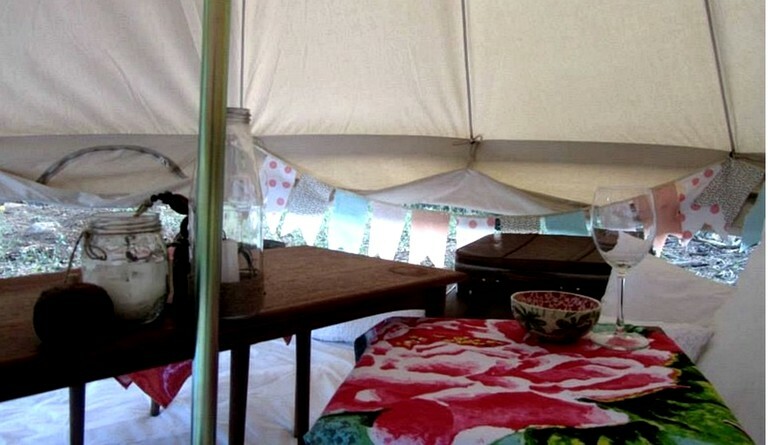 Guests can simply sit back, relax and enjoy their time with family and friends. 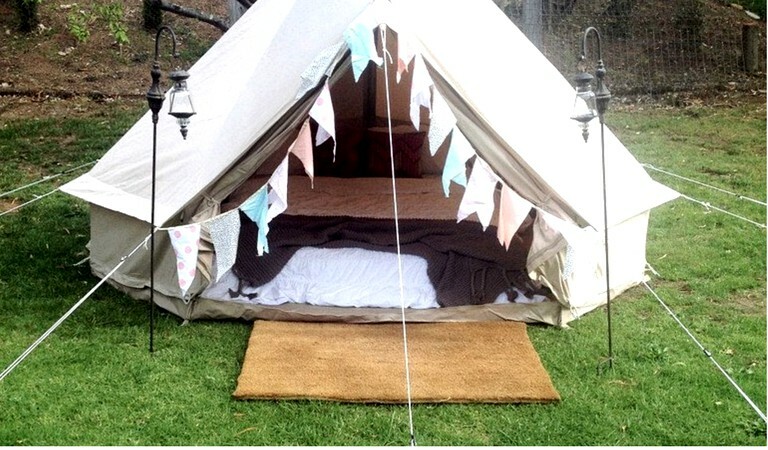 These bell tents are fun, stress-free, stylish and a truly unique experience for any special event. 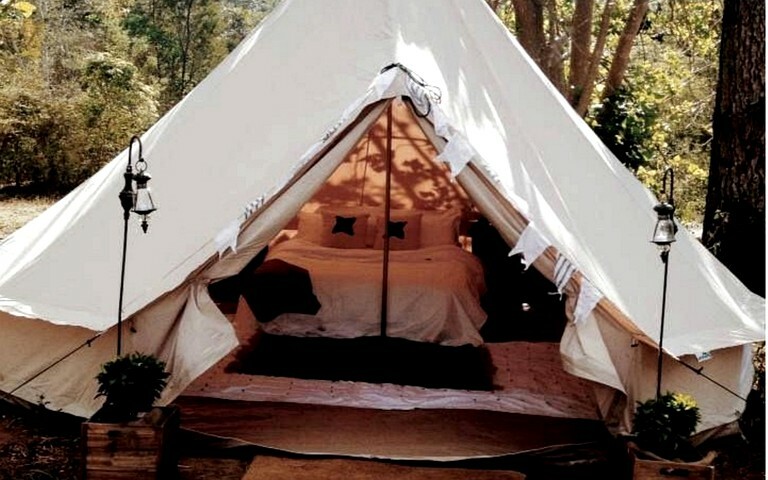 Luxury tents will include a quality queen-size aero bed, with bedding including, four pillows, a 'doona', a cushion, a throw and a mattress topper. Guests will enjoy interior and exterior floor rugs, toiletries including, shampoo, conditioner, and body wash, as well as toothbrushes, toothpaste, and soap. On site are wood fires to cook and a toilet facility. Although there are no showers at this particular site, there are many gorgeous water holes to swim and truly take in the real beauty of the Blue Mountains. Guests will enjoy the serenity of this park and can frequently visit the village, where there are a number of trendy shops and cafes at their fingertips. 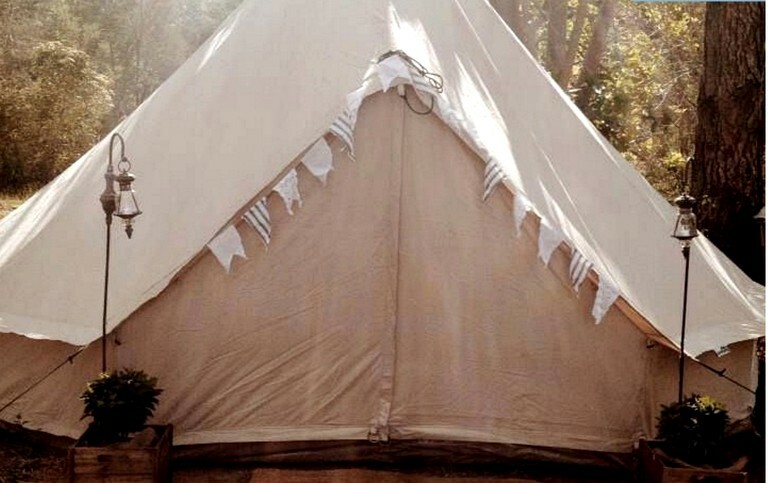 This glamping site has all the facilities that guests will require, for example, hot showers, toilets, and BBQs, making it perfect for family retreats It has enough spaces for guests' own private getaway. 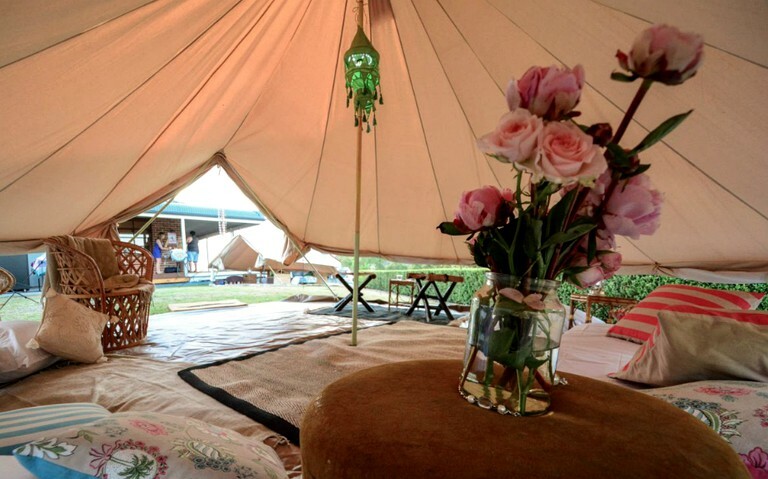 Depending on what glampers will be using these bell tents for, guests can be accommodated with many different appliances and furniture. 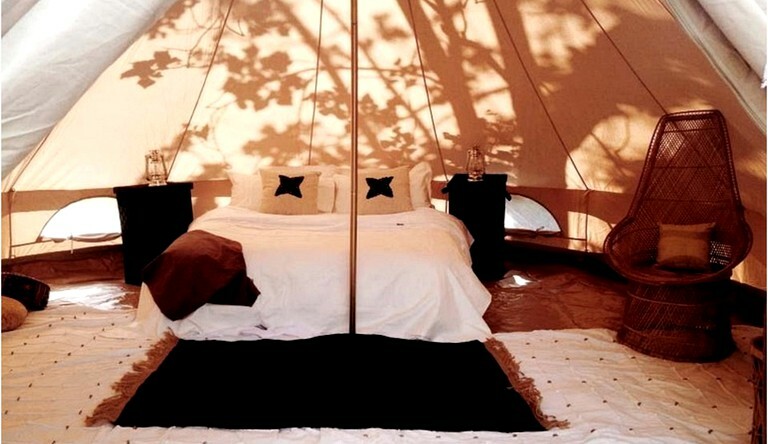 The glampsite will include lighting fixtures to illuminate the luxurious occasion, and guests will also be provided with bath towels. 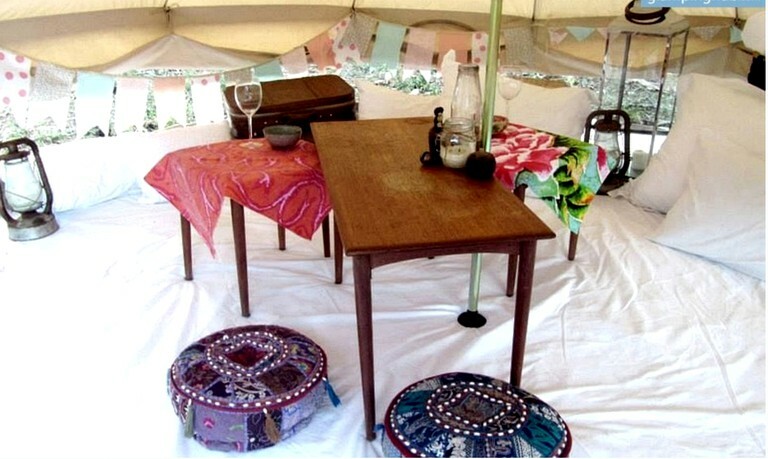 As an example of some extras that can be added to the bell tents, imagine wishing to have a comfortable picnic. 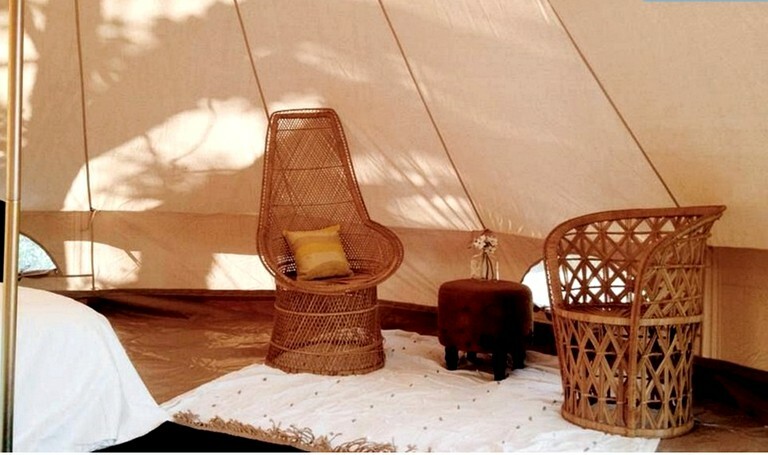 Guests can request to have cushions and tables, throws, mats, and rugs or for guests who wish to have an even more luxurious camping experience, the tent will be furnished with bedding and pillows, as well as cushions and throws. 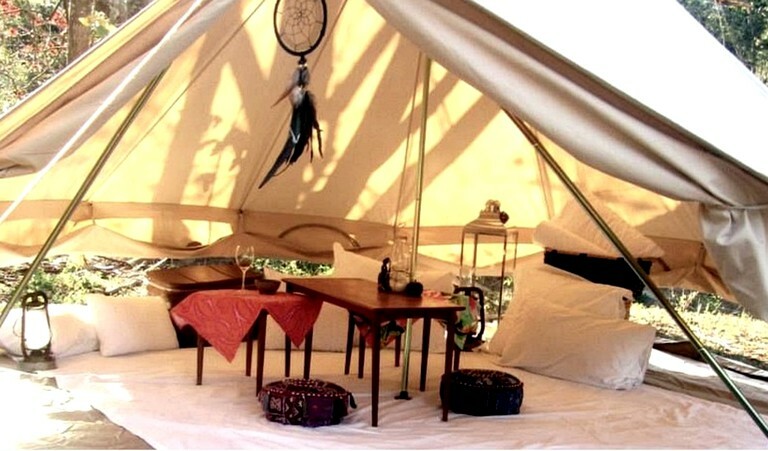 Glampers will also have a bedside table, rugs, and matts and also have the possibility to simply order a blank canvas—for this, guests only have to choose the diameter of the bell tent they wish to use, and from there can furnish it as they please. 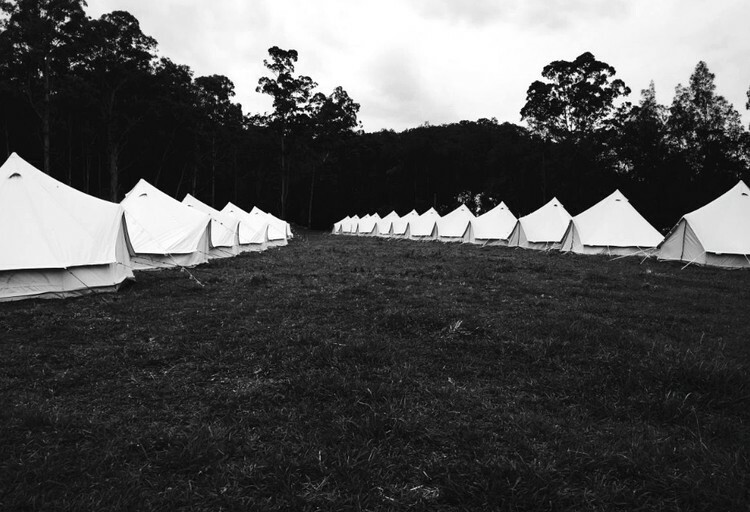 These are equipped with lighting fixtures, though no Wi-Fi will be available, giving guests a true escape from the preoccupations of daily life. 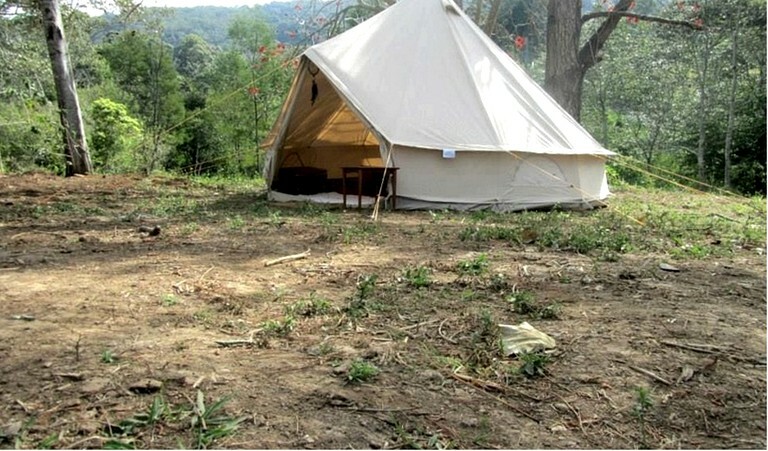 Though the use of flames inside the tent is prohibited, guests can arrange a campfire outside, if the weather conditions are safe and roast some marshmallows. 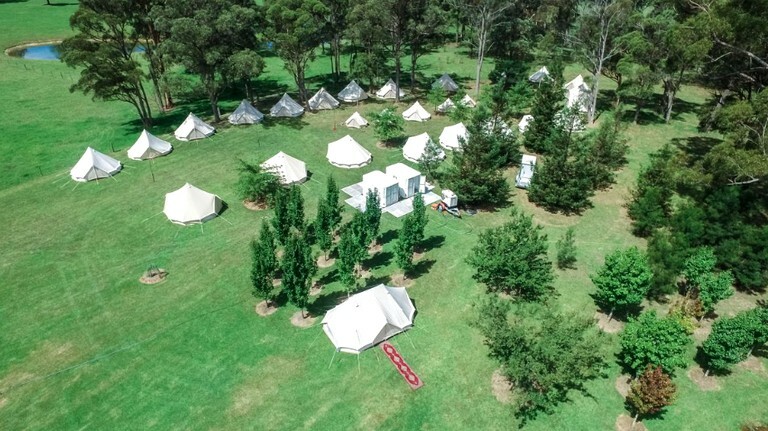 This glamping site is perfect for the outdoor adventurer, with activities for all ages to enjoy such as horseback riding, kayaking, quad biking, abseiling, laser skirmish, and even cattle droving plus much more! 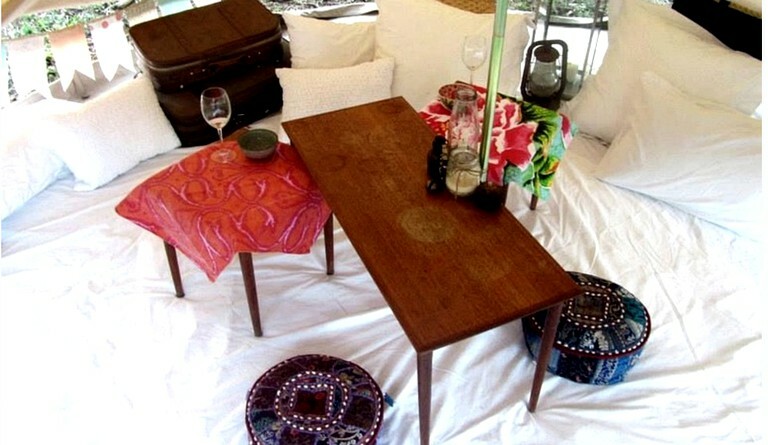 The hosts can provide packages from a one person stay through to large corporate events and functions. 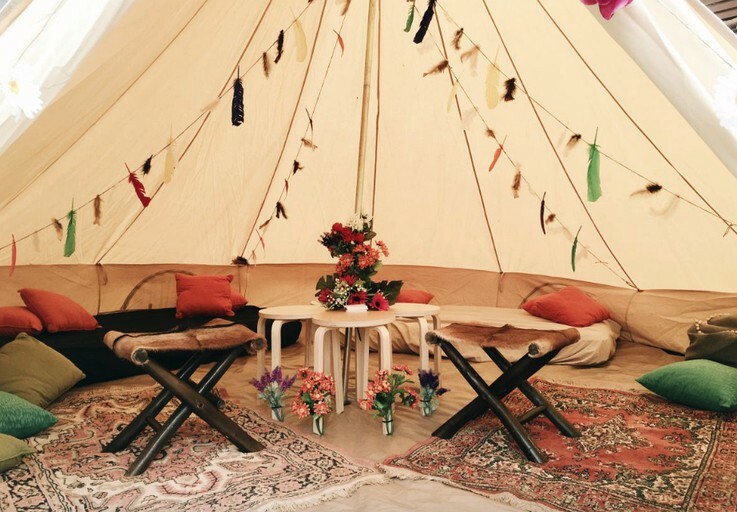 Smoking is strictly prohibited in these bell tents. The use of any open flame is also prohibited inside.